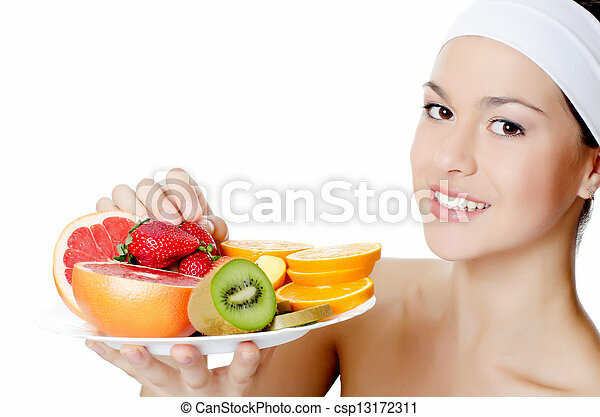 The beautiful woman with fruit. 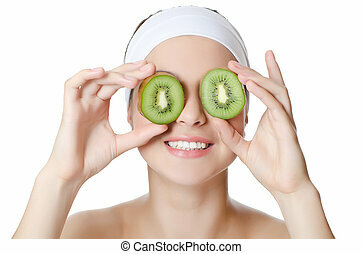 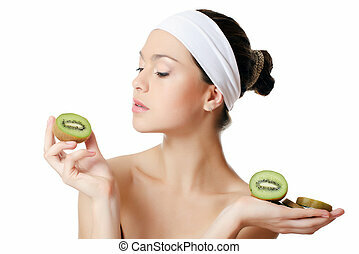 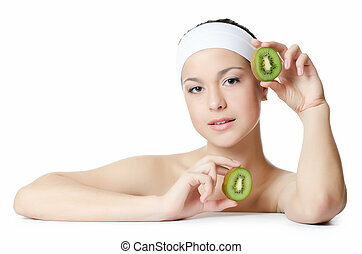 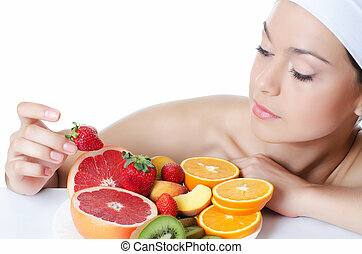 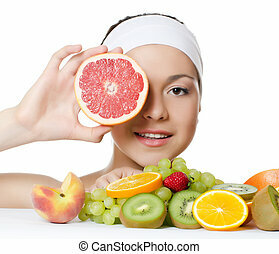 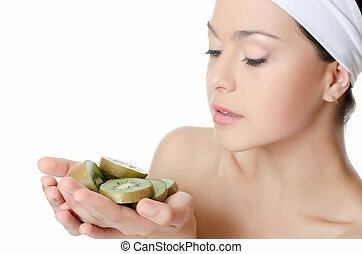 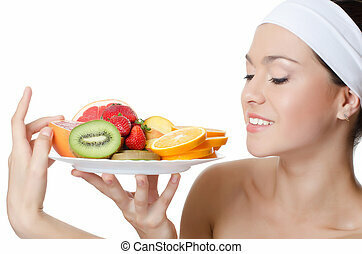 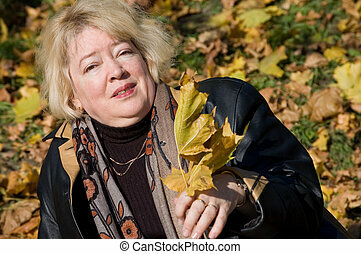 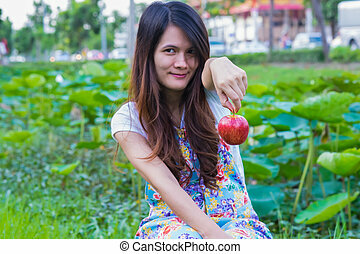 The beautiful woman with a fruit isolated. 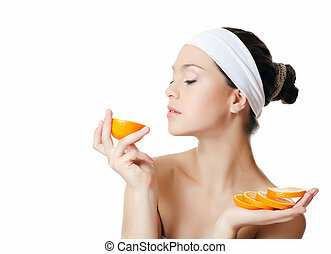 Beautiful woman with orange over the white background. 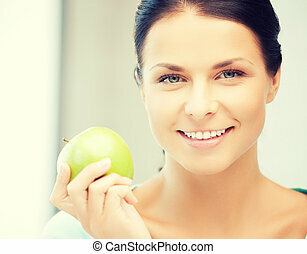 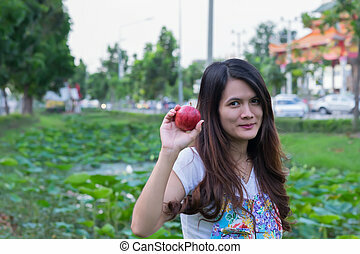 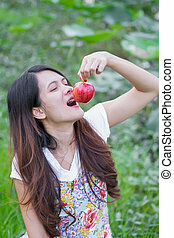 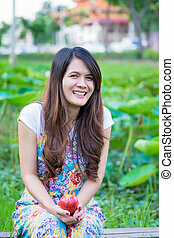 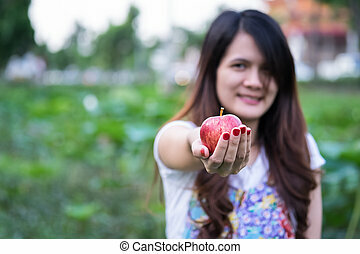 picture of beautiful woman in the with an apple..